This past January was a special month for our family! 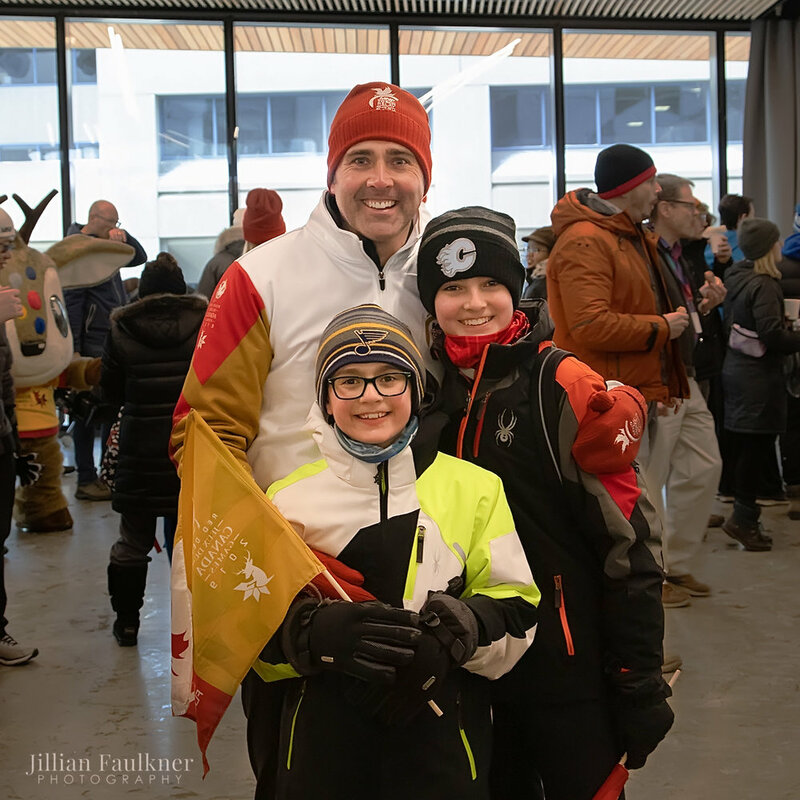 My husband Ken Faulkner was chosen to participate in the 2019 Canadian Winter Games Torch Relay! We were beyond proud that he was selected to be a torcherbearer, as torchbearers were selected based on their outstanding contributions to sport, youth and their communities. I could not contain into words how excited I was that our young boys were going to witness up close and personal, their father carrying the Roly McLenahan Torch! A torch that had travelled all the way from the Centennial Flame on Parliament Hill in Ottawa, Canada making it’s way across the country and then to us here in Calgary. 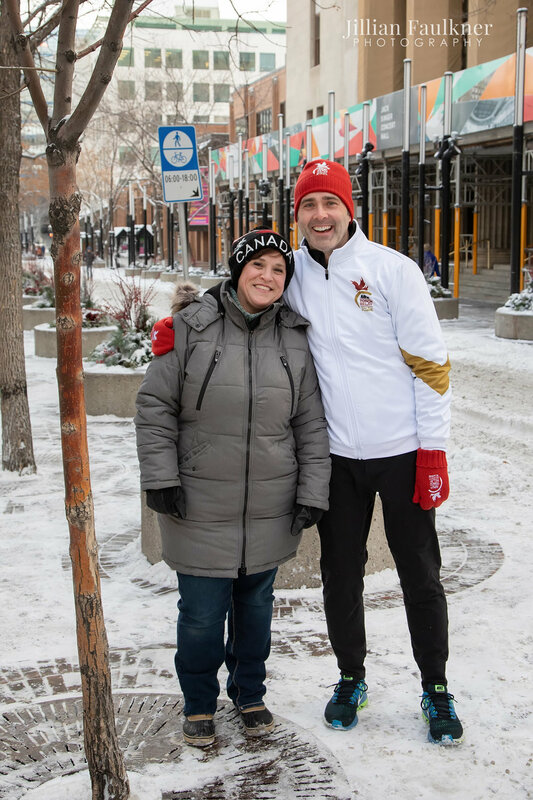 The torch arrived in Calgary, Alberta on January 18 and it was a brutally cold day. But that was not going to stop me from getting out there to photograph the below images of this once in a lifetime opportunity for my husband. As we passed through Stephen Avenue, we worked our way towards Calgary’s brand new Central Library where the torch would rest until it continued on it’s journey. Our mayor, Naheed Nenshi was awaiting the arrival of the torch to complete the Calgary portion of the relay. It was an incredible day, even with the frigid temperatures. We were so blessed to be part of such an amazing event. This year the 2019 Canadian Winter Games will be hosted in Red Deer, Alberta. The Canadian Winter Games have a tradition of welcoming and showcasing our athletic Canadian youth. With numerous sporting events, musical and cultural performances, the Canadian Winter games will be sure to not disappoint! The 2019 Games will be the largest event ever hosted in Red Deer and is one of the largest events to be hosted in Alberta in over three decades, since the 1988 Calgary Olympics. The opening ceremonies for the games are to take place in Red Deer on February 15, 2019. Thank you for stopping by my blog! If you would like to see more of my work, come follow me on Instagram or join me on Facebook !